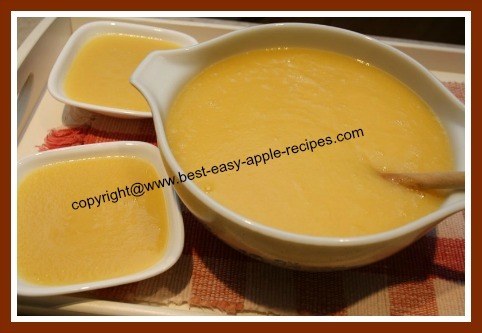 Use this Peach Apple Sauce Recipe to make homemade fruit sauce for a topping, side dish or pureed baby food. 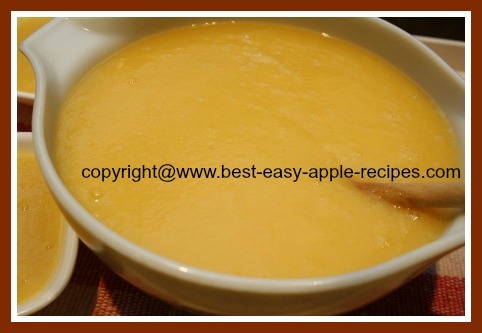 This scrumptious peach and apple sauce can be enjoyed fresh and stored in the refrigerator for up to a week, or it can be canned or frozen. 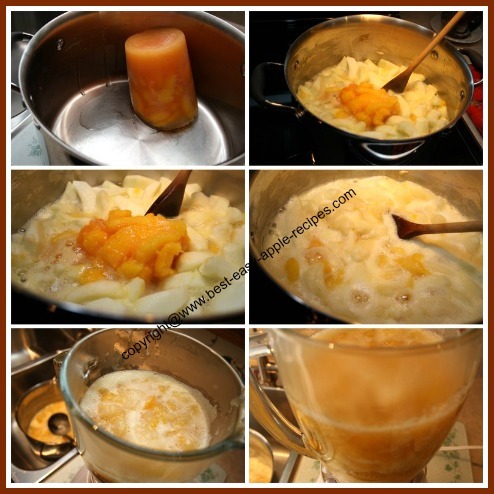 This is a great recipe to make for homemade blended baby fruit ... divide the finished sauce into portion size containers, freeze, and remove from the freezer the morning you wish to use the fruit sauce ... healthy, homemade and frugal too! In a large pan (I use a "Dutch Oven" size pan), combine the prepared apples and peaches and water. Bring the fruit mixture to a boil over medium-high heat. When mixture has come to a boil, reduce heat to medium-low, and with the lid ajar, allow the mixture to simmer for about 25 minutes, or until the fruit is tender, stirring often to avoid any sticking and burning. Process the fruit mixture in a blender until smooth. Add the sugar or the sweetener (optional) as desired, and stir until evenly mixed in. 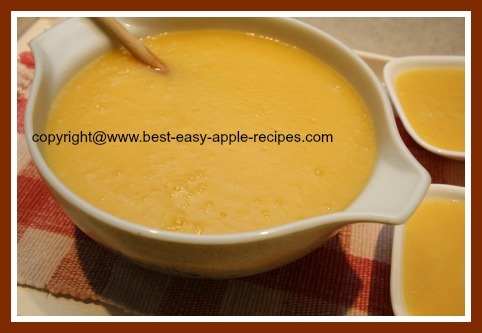 Makes about 9 to 10 cups of delicious homemade peach apple sauce. Allow to cool, and then store the sauce in the refrigerator for up to one week. If desired freeze or can the fruit as follows below. If you wish to freeze the sauce, allow it to cool and transfer the sauce to air-tight freezer safe containers or sealable bags, and freeze for up to one year.